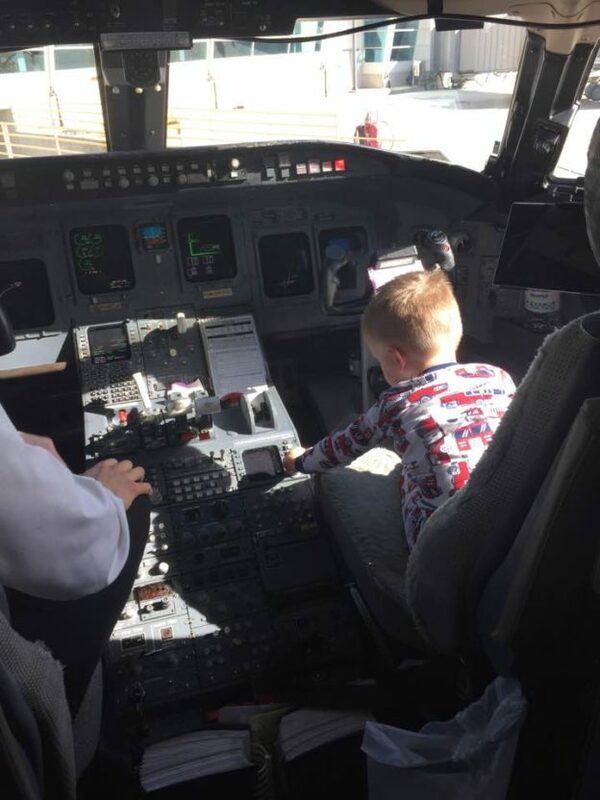 In his excitement to travel from Chicago to Moline, Illinois, little 3-year-old Declan Halpin had been running around in his fire truck jammies pretending to be a pilot all day. 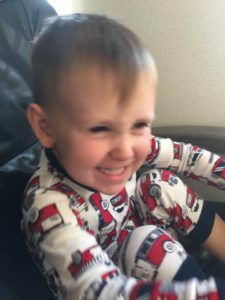 “Declan could not have been more excited about flying ‘way up in the sky’ in an airplane,” Declan’s mother, Elizabeth Halpin, said. When the SkyWest flight landed in Moline, Elizabeth and her two young boys waited to let everyone out before gathering their bags. “[Declan and his 18-month-old brother] said goodbye to each of the passengers just like the flight attendant,” Elizabeth said. SkyWest Captain Michael Murphy noticed the boys and left the flight deck to help. But he offered more than just a helping hand; he invited the excited boy into the flight deck. 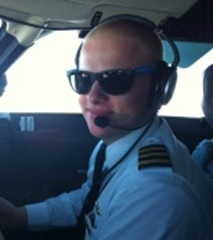 No more make believe for Declan – he was now in a real pilot seat of a CRJ200. After they left the aircraft, Captain Murphy’s actions inspired Elizabeth to share the story of how the SkyWest pilot made her son’s day and a memory to last a lifetime. Thank you, Captain Murphy, for sharing your love of aviation and demonstrating above and beyond service! At SkyWest, professionals like Captain Murphy put our guiding principles of excellent service and quality to work each day. Learn how you can join our team at skywest.com/careers.